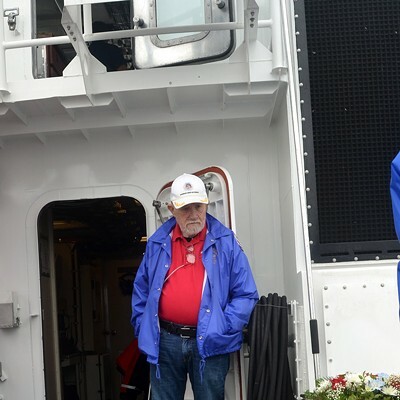 Korean War veteran Warren Longnickel, 83, of Carlotta and fellow veteran Don Biasca head down the dock to board the U.S. Coast Guard cutter Dorado for the commemorative wreath ceremony. U.S. involvement in the “Korean conflict” ended in 1953. 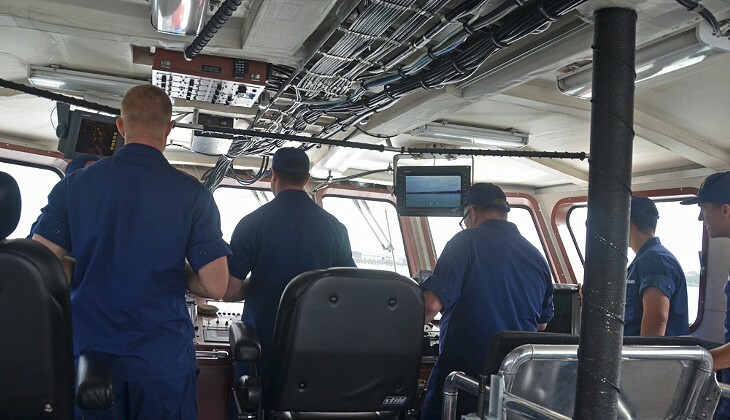 The U.S. Coast Guard cutter Dorado eased off Woodley Island Marina’s outermost dock Wednesday morning with valuable cargo aboard and a solemn task to perform. 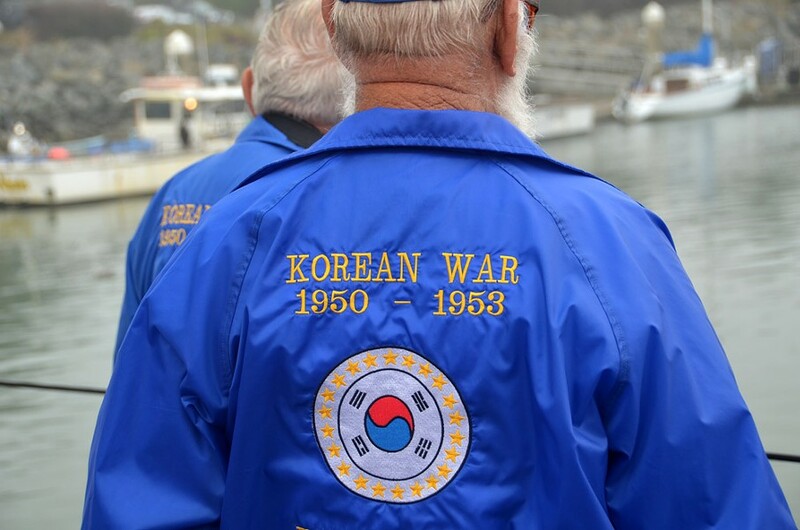 It was the 63rd anniversary of the “end” of the Korean War — a war that reached a United Nations armistice on July 27,1953 but, in truth, has still not ended. 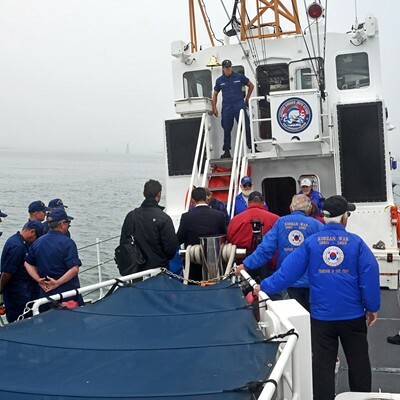 Wednesday morning, five surviving Korean War veterans, all in their 80s, came aboard the Dorado for a quiet annual ceremony, laying a wreath between the jaws of the Eureka Jetty to remember 24 Humboldt sailors, soldiers and airmen who didn’t make it back from that war. 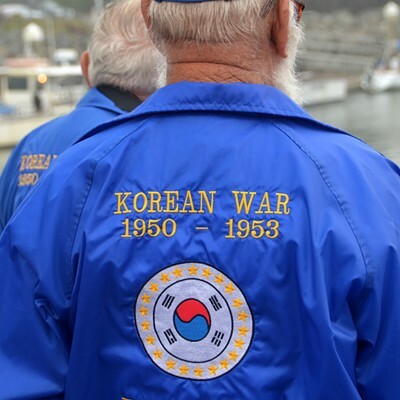 For the United States, the Korean “Conflict” lasted from 1950 into 1953, but for these men and for thousands more, the battles continue. “I still remember them,” said 83-year-old Warren Longnickel, of Carlotta, who, after 20 years in, left the service as a master sergeant. 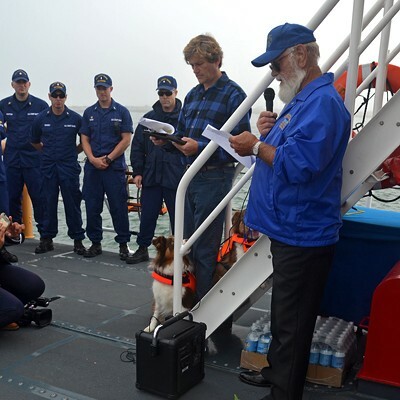 He read the names of the 24 Humboldters who died there, as a Coast Guard sailor rang the bell after each name. 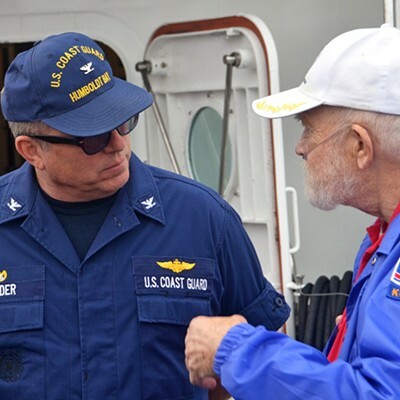 Bill Odonnell, whose father — another Bill and a Korean War vet who died last year — helped organize the ceremony with the Coast Guard. 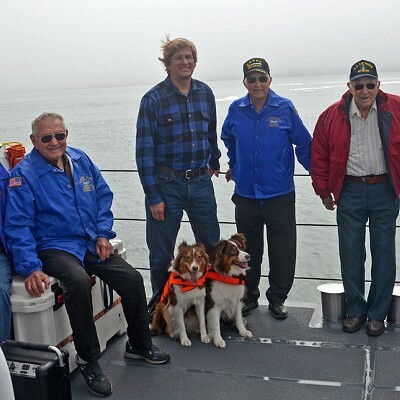 Odonnell and Korean War veterans Longnickel, Leo Sears, Don Biasca, Carl Nelson and Jack Coleman — all in their 80s — came aboard the Dorado to commemorate the official end of the Korean War. 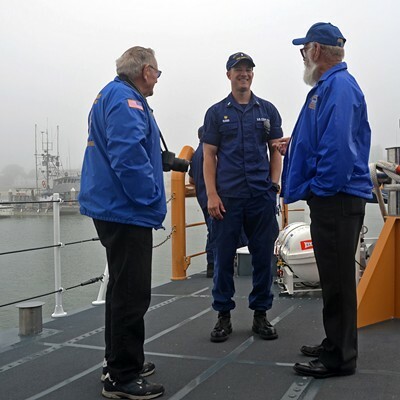 They were greeted by Dorado skipper Lt. Andrew Russo and his Crescent City crew, as well as Coast Guard Humboldt Sector Capt. Arthur Snyder and his operations officer, Cmdr. Kevin Barres. The Dorado steamed down from its berth in Crescent City for the ceremony because Humboldt’s cutter, the Barracuda, is down for maintenance. U.S. military estimates show nearly 37,000 people — Americans, allies and Koreans — killed during the three years of U.S. involvement in the war in the early 1950s; 103,284 were U.S. troops wounded in action. But other estimates place the casualties much higher — 1.2 million Korean and Chinese military, and 1.6 million civilians. The Dorado steamed slowly out of Humboldt Bay to the mouth of the Jetty. 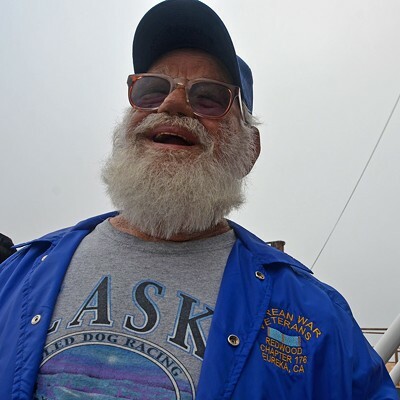 There, Don Biasca threw a wreath overboard, and it drifted out to sea on the tide. 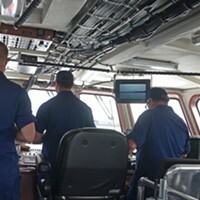 The Coasties, vets and observers offered a prayer for the fallen, as fishermen nearby trolled for salmon. “We remember these men not with fear, but with love,” Odonnell said. The fog started to lift as Dorado turned and headed back to shore.